Even after more than forty years as a winegrower, Stuart (Stu) Smith still finds his happiness in the vineyards. “There is just something to playing with a product in the dirt, and then having it at dinner,” he gushes. Smith, founder and managing partner of Smith-Madrone in Napa Valley’s Spring Mountain District, planted the vineyard that he and his brother Charles still work today. They call themselves an “authentic” winery: founded in 1971, Smith-Madrone is still owned and operated by the same people, produces 100% estate grown wines, and offers artisanal production—less than 4,000 cases per year from just 34 acres. Smith always has plenty to say. 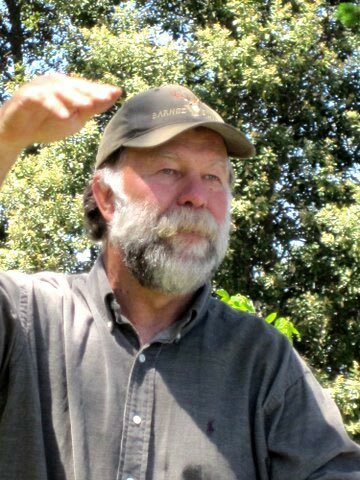 As we recently sat down to taste his new releases of Chardonnay (2009) and Cabernet Sauvignon (2006), he talked about the industry and how it’s changed, and how Smith-Madrone manages to compete with the large-scale producers. He can be extremely generous (“The Finger Lakes are making some excellent Rieslings,” he agrees wholeheartedly to a query as we sip from his own vintage), and just as critical (“There are many producers who make wine with no fruit, no vibrancy, and no brightness.”). A main concern for Smith is the struggle between art and science in winemaking, and the focus by some winemakers, he feels, on too much science. Smith-Madrone stopped making Pinot Noir, for example, because it was difficult for them to produce without too much manipulation of the grapes—and because our culture blames the winemaker for a bad vintage. “The French get away with bad Pinot; they get to blame the terroir!” he laments. Clearly, Smith is quick to take on the issues. When an article in the St. Helena Star touted biodynamics as the only way to farm vineyards, it felt to him like a personal attack. So, Smith got involved. His scathing response (letters to the editor, a blog on the topic called Biodynamics is a hoax) created major discord across the industry, and he was painted as an eccentric and party pooper. Regardless of method, do these wines taste any good? Smith neutrally answers “I appreciate the style less,” because these producers refuse to add acid. “There is a slavish notion,” Smith contends, “that some wines don’t need acid, and if you add acid, you’re bad.” This is the issue for Smith: he takes offense at the “my way or the highway approach” and is discouraged by what seems to be the first time winemakers have publicly disparaged their peers’ methods. Smith entered the business in the late 1960s, during the time when the Bay Area was at the forefront of this country’s food revolution. At the time, he recalls, wine was just not that popular, even in California. Not knowing much about food, he gained entry into the revolution through wine. He feels the efforts of he and his fellow winemakers resulted in wine’s becoming much more integrated into American culture today. Winemaking has been a rewarding journey for him, and his true calling, but he would not recommend this life to many now. “It’s a lot harder today,” he says, pointing to the web of environmental regulations, laws and ordinances, and even intrusive neighbors that seem to burden the citizen and winemaker. Politics intrude across all industries and lifestyles, of course, and there always seems to be two, unwavering sides to every issue. Smith can easily remember a time when the industry was smaller, family-oriented, when area winemakers broke bread together, and when Mr. Mondavi himself bumped into Smith at the local gas station and asked for Smith’s input on a new product. “It’s not the same as it was,” he says. “These people haven’t worked in the wine business before; they don’t have the history there.” He feels Napa Valley winemakers have been becoming more competitive. Until now, however, winemakers have “usually played nice on the surface.” The biodynamics fight ties back to his concern that consumers are not critical enough. “Our culture is not maintaining its scientific edge,” he says. “Our children graduate unprepared to understand science.” So, consumers love the idea of biodynamics (“it sounds good and green, right?” Smith concedes), even though they know little about it. Smith recognizes that it has become more difficult for small producers to differentiate themselves from the major players, especially when big box retailers are “degrading” the product. On the other hand, while there may have been a time when he worried that big retailers would push out small producers, he doesn’t worry about that anymore. “The internet has changed that,” he offers. The winery is getting more visitors than ever before, which they can attribute to the online availability of information. Additionally, internet sales have “kept our doors open” in recent times when consolidation among distributors means some retailers and consumers need alternative means to purchase Smith-Madrone wines. The best way to stay ahead, he says, is product differentiation. 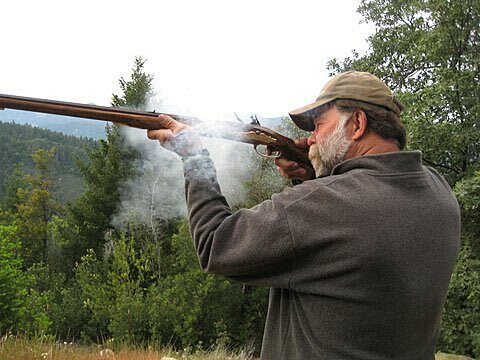 Smith-Madrone wines are hand-crafted with this aim in mind. Their 2010 Riesling is a great example: first you get the medium mouthful and fruit, then acid, and finally a rich, smooth finish. “We like to say they are 60% Alsace, 40% Germany,” he chuckles. Their 2009 Chardonnay has just been released; it’s produced in the French style and aged in new French oak. You get the oak, of course, but there is also a crispness there. 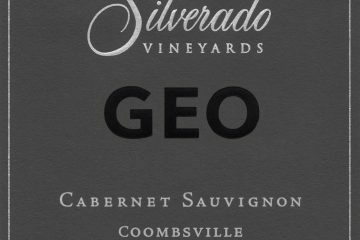 The 2006 Cabernet Sauvignon is lighter than the stereotypical California Cabernet, and there is a tartness and earthy quality to it as well. Stu Smith, it turns out, is just as complex as his wines. Friendly with an infectious laugh, quick to take a stand while looking for the other’s point of view, he is an old-school winemaker focused on the crop, a well-educated and well-spoken idea man who seeks balance in the science, someone who prefers meat and potatoes—cooked well, of course—and attests that “wine is first and foremost an agricultural product,” while at the same time insisting on using fine wine glasses. “How the wine looks is critical,” he says, pointing to the importance of the experience. “Wine is here to serve us,” he says. “Food is life giving, but wine is life enhancing,” he declares. Mr Smith sounds like a cool guy, are his wines sold in upstate ny? Dear Mr. Kaiser: hello from the winery! we’re checking for you! Stay tuned! Hello again with an answer about finding Smith-Madrone in upstate NY. We’re newly in the market with VOS Selections (www.vosselections.com), so ask your local retailer to get in touch with them and ask for the wines….and/or feel free to order through our website!